Office@Hand offers several SIP phones that come pre­-configured for your Office@Hand account, and are fully recommended and supported by Office@Hand. Follow the steps below to start using your supported Cisco/Linksys IP Phones with Assisted Provisioning. Office@Hand’s pre-­configured devices, go to Office@Hand: Desktop and Conference IP phones. Provisioning, which will allow your existing device to connect to Office@Hand cloud, and download the updates and features from your Office@Hand account. Note: For phones purchased from third party vendors, you may find additional help and support at Cisco’s Support Website. IMPORTANT: If you want to provision a Cisco phone that you got from a different provider, you need to get the phone’s Admin Password from the provider and make sure that the phone has been unlocked. To configure your existing device, you must first add an Existing Device to your Office@Hand account. For instructions, go to How to Add an Existing Device for your Cisco phone. If you already have an Existing phone and wish to use it for your existing Cisco device, go to How to Provision your Existing Cisco phone. To replace a phone on your Office@Hand account with your Cisco phone, go to How to Provision your Cisco phone to Replace an Existing User phone. Select User Phone, then click Next. Select the extension where the Desk phone will be assigned, and then click Save. Click Next. Scroll down, and then select Existing Phone. Note: Notice that the Price says FREE. It is free because you are not buying a new phone. You are only getting the line that will be assigned to your existing Cisco phone. Specify a Phone Nickname for the AT&T Office@Hand Desk phone, and then click Next. The Phone Nickname will allow you to recognize the Desk phone when managing the system. Make sure you read the terms and conditions, then tick the checkbox to Accept the Terms. Click I Accept. You will be asked if you would like to add more phones for the selected location. Click on your choice. Under User Phones, highlight the Existing phone that you wish to configure for your Cisco phone. Click Setup & Provision. You will see Setup and Provision when you point your cursor over it. Select Cisco / Linksys IP Device, then click Select Phone Model to choose the model number of the Cisco phone that you will provision, and then click Next. Note: If your phone is not on the list, go to Office@Hand: Manual Provisioning for Cisco Phones for steps on how to configure your device. You will see the instructions on how to reset the existing configuration on your phone. Click Next when you have finished the steps below. 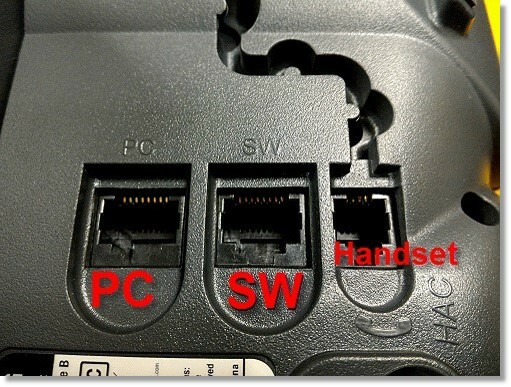 IMPORTANT: Ensure that the Cisco SIP phone is connected to the network (Ethernet cable connected from the Router, to the phone’s SW port) before clicking the Next button. After clicking Next, you will see a pop­up window showing the Progress, as it locates and provisions your device.Your phone should reboot and provision itself. Once its done, a confirmation window will display that your device has been provisioned successfully. Click Done. Follow steps 4 to 7 under How to Provision your Existing Cisco phone to complete the procedure.